WineFan at Boxwood Estate Winery | FTLapps, Inc. When traveling through northern Fauquier County, you get a sense of Virginia’s history along with the spectacular sights of horse country. Many suburbanites long for a place that gives them the opportunity to enjoy the senses and sights of such beautiful landscapes along with a glass of wine. Boxwood Estate Winery, located in Middleburg, Virginia, offers just that location for us to escape the fast-paced life of the city. As you pull up to the winery, you become enamored of the beauty of the estate’s vines, as well as their facility and tasting room. There is a lovely patio for patrons to enjoy a glass or bottle while drifting off into the sunset on those picturesque days. Once inside, you walk right into a bistro area where you can taste wine as well as enjoy wine you may have purchased. To the right is one of the finest barrel rooms to be seen in this area and to the left is a bottling machine so high tech, Spacely Sprockets must be providing them with parts. 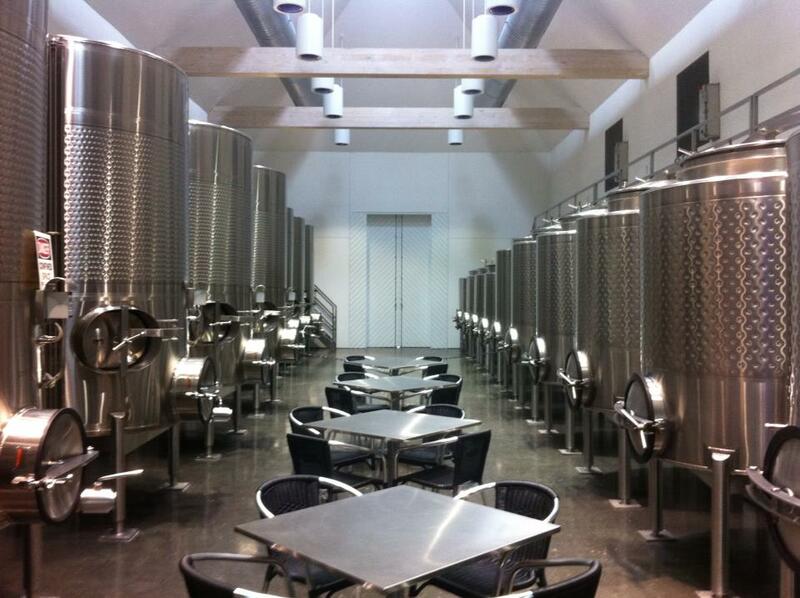 Straight back into the facility is a room where Boxwood houses their steel wine tanks. The stainless steel along with white lighting gives the room a contemporary feel. This is where our tasting took place. Boxwood was featuring five wines on their tasting menu that day, however, the staff was very generous and provided an extra tasting. The winery produces around 2,500 cases a year, and maintains a style of winemaking that Bordeaux wine lovers will embrace. Notes exported from our WineFan app follow. Red Wine Blend (Virginia)Red fruit flavors. Well balanced tannins with a silky finish on the palette. Earthy flavors along with some hints of oak and spice on the finish. Floral nose. Cherry flavors and herbs round this wine very well. Different blend of grapes from the 2011 present a stronger tannin structure along with a great dark color. A wine that would pair great with grilled meats. A big wine with dark fruit flavors. Will age great over but yet subtle enough to enjoy now. *Bonus Tasting* Smoothest of the three Topiarys tasted. Showcases how well of a year ’10 was for the winery. Silk texture and berry flavors make this wine a great pick. Special thanks to Boxwood Estate Winery for providing the tasting.